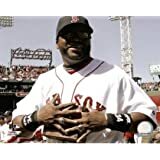 David Américo Ortiz Arias (born November 18, 1975 in Santo Domingo, Dominican Republic), nicknamed "Big Papi", is a former Major League Baseball (MLB) designated hitter (DH) and first baseman who played 20 seasons, primarily with the Boston Red Sox. He also played for the Minnesota Twins. 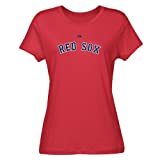 During his 14 seasons with the Red Sox, he was a ten-time All-Star, a three-time World Series champion, and seven-time Silver Slugger winner. 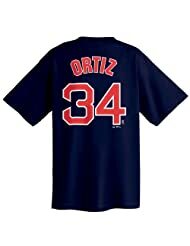 Ortiz also holds the Red Sox single-season record for home runs with 54, which he set during the 2006 season. 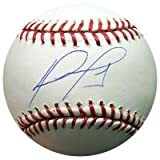 In 1992, at the age of 17, Ortiz was signed by the Seattle Mariners who listed him as "David Arias" (possibly not understanding Spanish naming customs). In 1996, the Mariners received Dave Hollins from the Minnesota Twins for a player to be named later. Later that season, the Mariners announced that the player to be named later would be Arias. When he arrived in Minnesota, he informed the team that he preferred to be listed as "David Ortiz" making him quite literally a "player to be named later". He made his début in September 1997. After moving up and down from the majors to the minors, Ortiz hit .272 with 20 home runs and 75 RBI in 2002, when the Twins lost in the American League Championship Series to the Anaheim Angels. Here are stats for Big Papi's most productive seasons. For his career stats, click here. 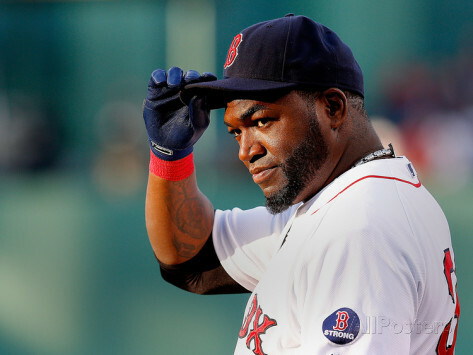 Featured here are David Ortiz posters, photos, giant collectibles and apparel.